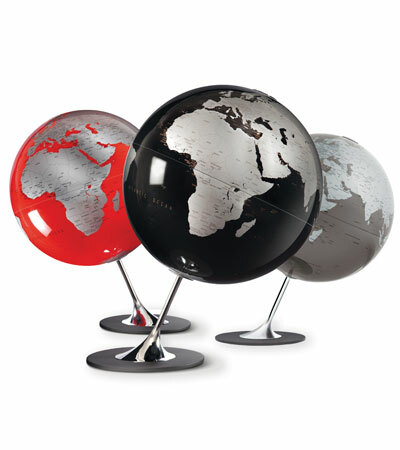 The Anglo globes are available with red, black or slate coloured oceans, all with distinctive silver mapping. Both of the models feature bases of metal and chromed steel. Designed in Denmark by Claus Jensen & Henrik Holbaek, this series is unique and brand new in the UK.